Buon Giorno! 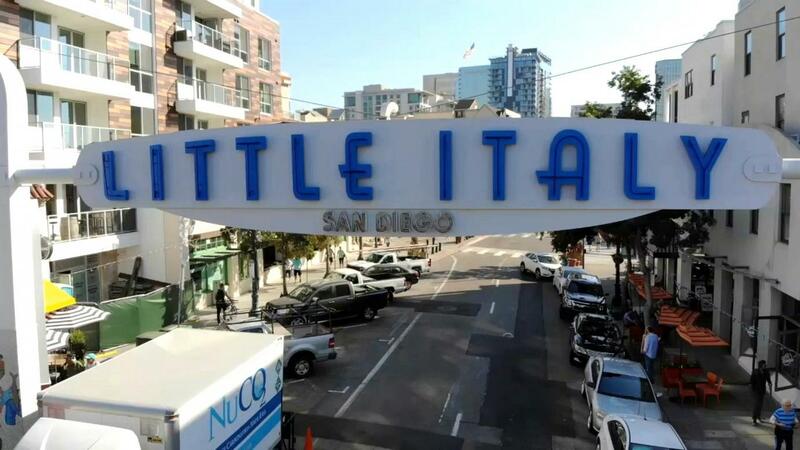 We are located in the heart of San Diego&apos;s famed Little Italy district and inside the Award winning LA PENSIONE HOTEL. Caffe Italia is the perfect place to grab your morning cup of coffee, catch up on the news or grab a quick lunch. Family owned and operated since 1992 we are a one of a kind Espresso bar serving the perfect blends of robust coffees, cappuccinos and espressos made with Lavazza coffee beans imported from Italy. You can also select from an assortment of locally made gelato flavors that are sure to get you back for more. At lunch time we offer a made to order selection of salads, Italian panini sandwiches and more. Relax with a newspaper or magazine while sitting out on the sidewalk or courtyard and listen to the gentle sounds of the fountain or just people watch. Come see us on Sundays when we feature our Award Winning Sunday Brunch Waffle Bar. Free Wireless Internet is available. Just ask your barista how to log on. Little Italy’s First and Finest Espresso Bar! Breakfast was so enjoyable the baristas/servers were friendly and helpful. The hot coco was delish as were the mochas (a bit on the sweet side), the breakfast panini was yummy as was the croissant-nice and flaky... We love coming here. I absolutely love this place every time I come here on vacation everything is always spectacular. The manager and the employees are always super nice and helpful. Coffee cake is out of this world!! LOVE this place!!! We frequent Caffe Italia almost every shift (firefighters)! They ALWAYS take care of us, make great drinks, friendly, etc etc! The location is the best place in Little Italy to sit and enjoy what the great town has to offer! Quaint little place. Great breakfast. Reasonably priced! It&apos;s a nice place to sit and have breakfast. Food, coffee, and gelato are all excellent. What&apos;s more excellent is the staff here. They are kind and witty and ready to welcome people in. They make all the difference in a city that is not always so kind.